They say if you don't believe, you don't receive. 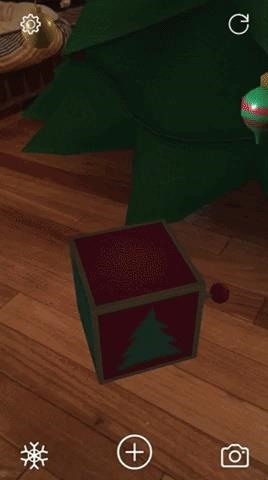 Therefore, I'll choose to believe that this holiday season, Santa's elves have learned how to code in Unity and leverage ARKit to deliver these jolly AR apps for helping children of all ages virtually decorate their homes. On the practical side of things, updates to the see-before-you-buy AR apps from IKEA and Wayfair each have holiday products for you to preview in your home before getting them sent to your home. 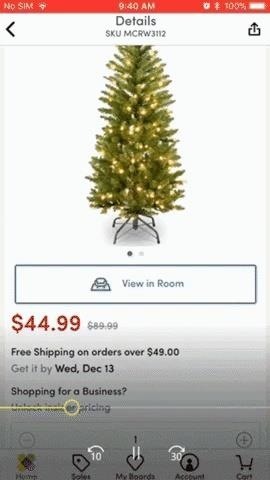 IKEA Place has just four options for Christmas trees, but thanks to ARKit, they are displayed in your space accurate to scale. And the renderings, like the furniture, are fairly realistic. The Wayfair app, on the other hand, is still using last year's AR tech. However, it does offer a much wider selection of wreaths, garlands, and other festive decorations to preview. IKEA Place (left) and Wayfair (right). If your wish is to entertain kids or add some holiday spice to your photos, though, you'll find a veritable cornucopia of options in the App Store this season. 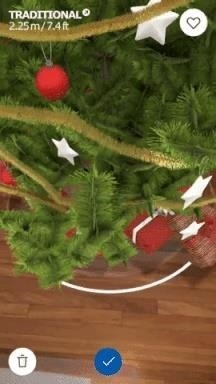 Dr. Panda AR Christmas Tree places a 3D Christmas tree in your living room that users can decorate. To keep parents and their kids using the app regularly, the app delivers a daily ornament by way of an Advent calendar. The app is free and sells no in-app purchases, but before you start thinking that Dr. Panda is doing this out of the kindness of his heart, you'll find an occasional ad for one of the company's premium apps. Deck Your Halls, also free, adds a bit more AR content to play with. You can place a tree, presents, a toy train, a tiny airplane, a dancing gingerbread man, and more holiday-themed items, all at the same time. Dr. Panda AR Christmas Tree (left) and Deck Your Halls (right). 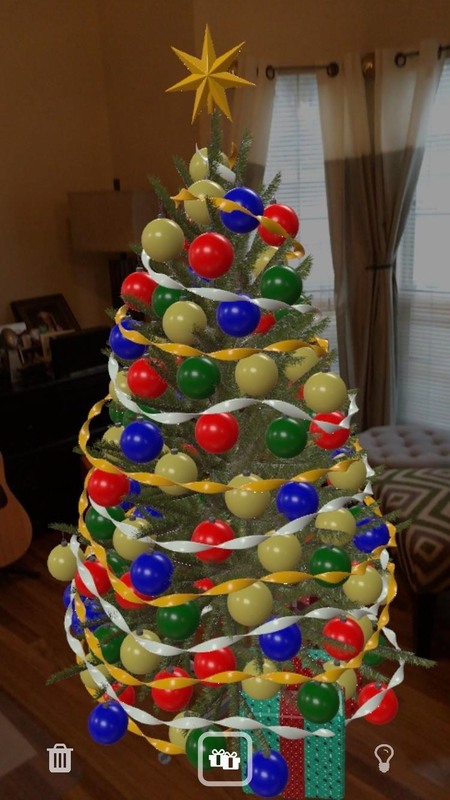 If you want a more realistic-looking AR Christmas tree that you can decorate, then Christmas Fun AR fits the bill. 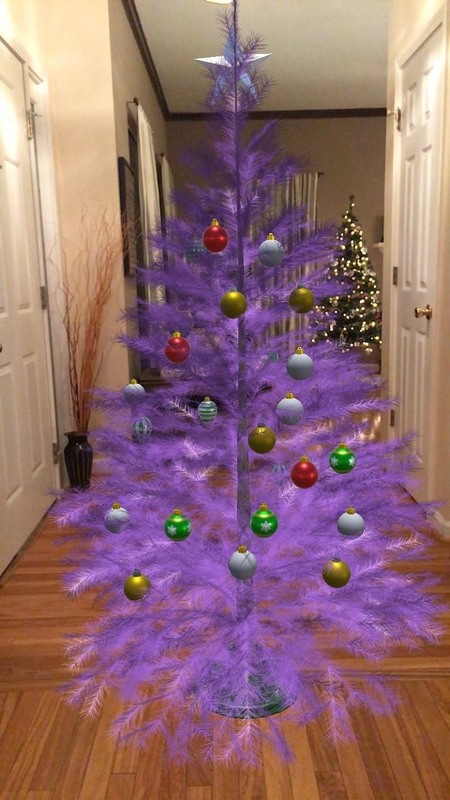 In addition to a less-cartoony 3D tree, users can place ornaments and recolor the tree in blue, purple, red, or white. The app is free, with additional ornament packs available via in-app purchases of $0.99 a piece. Lastly, there's Trim-A-Tree AR. This one is pretty bare bones. You can place a tree and a couple of presents beneath it, as well as add some decorations. Other than that, Santa does make the occasional appearance with tutorials on how to operate the app, so that's helpful. Christmas Fun AR (left) and Trim-A-Tree AR (right). There's clearly no shortage of options for putting some AR holiday decor in your life, which is yet another signal that AR is finally going mainstream. 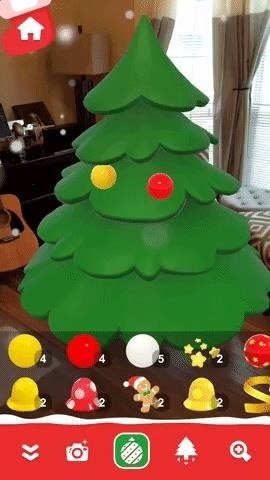 If this is already the state of AR in 2017, it will be interesting to see what Santa's app elves have in store for us around this time in 2018.